« In China: what is truth? 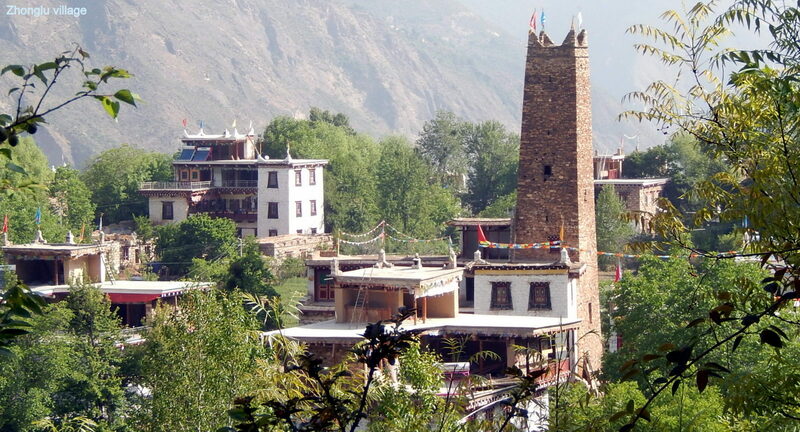 Dānbā (丹巴) is an isolated county in western Sichuan populated by Qiang and Tibetan peoples. 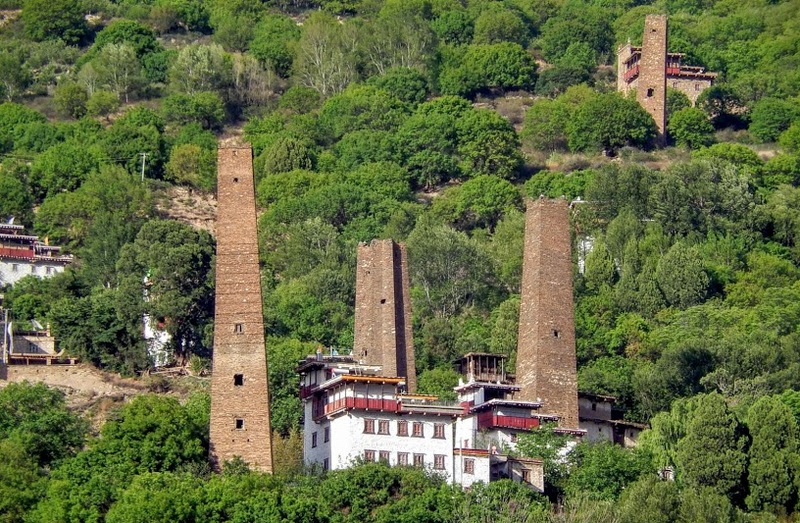 I had hoped to visit this mountainous area and its famous watchtowers a few years ago, but the 2008 Sichuan earthquake had destroyed the roads. 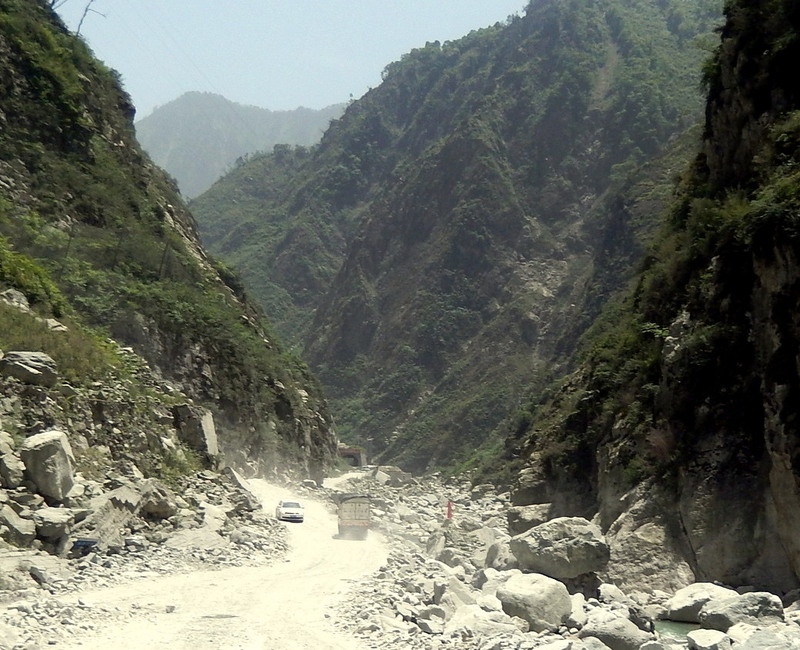 In 2015, I was able to travel there by local bus, although the section crossing the fault-line on the eastern edge of the Tibetan Plateau near Dujiangyan is still under repair (click photos to enlarge). 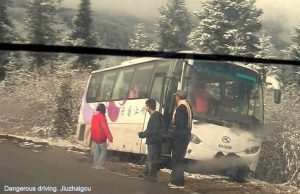 A caution: in China, never get in a bus with a young driver. 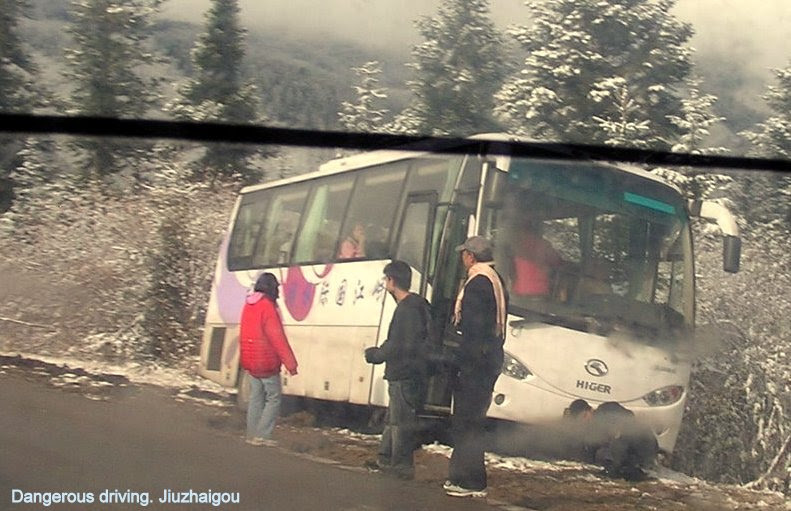 I did once, in Jiuzhaigou in northern Sichuan, and was lucky to get to my destination – an iconic scenic valley below. The young Tibetan driver mumbling sacred mantras to himself as he roared down the the range, ripping past other descending vehicles, and careening around a corner where another bus was bogged in the mud on the edge of the ridgeline. It had been run off the road. Tibetan Buddhist message: if you die on this mountain, it will be your fate. It will have nothing to do with dangerous driving by young Tibetan rev-heads. This bus-driver was OK, though. Middle-aged like his small battered bus with a sagging suspension and a slipping clutch. Youth and speed a distant memory. The wear and tear on his vehicle caused by multiple crossings of the boulder-strewn ravines on the eastern extremity of the Tibetan Plateau – the fault-line of the 2008 Sichuan earthquake. Crossing it was rough and difficult, the track through the rubble guaranteed to test both the skills of drivers and the mechanical integrity of their vehicles. Now and then, the sight of an abandoned vehicle, crushed by boulders loosened from the slopes above. Here and there, portable cement-making plants dedicated to road reconstruction. Trucks moving more rubble. Peasant workers toiling away at what could prove to be lifetime employment (it’s been seven years since the earthquake). On the other side of the fault-line, a new road and a better view. The confining ravines opening up to a broad vista of snow-topped ranges on the edge of the Plateau. Careful driving and good brakes are needed here, as we begin the switchback climb up to an oxygen depleted 4550 metre pass. The view from the top as breathtaking as the lack of oxygen. Believe me, you had to be there. Words fail. Then a hurtling, curling drop to a bare brown valley beneath the tumbling grey snow clouds also climbing over the pass. 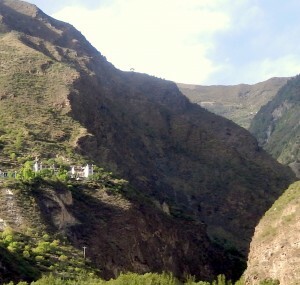 The massive Sigunian Shan (Four young girls mountain) on the other side. A stunning four-peaked monster surveying a traumatised landscape below. Our little bus heading for Danba township. Qiang/Tibetan villages with their ancient stone watchtowers clinging to the sides of more mountain ranges running off into the distance. Local culture thrives in these isolated places. 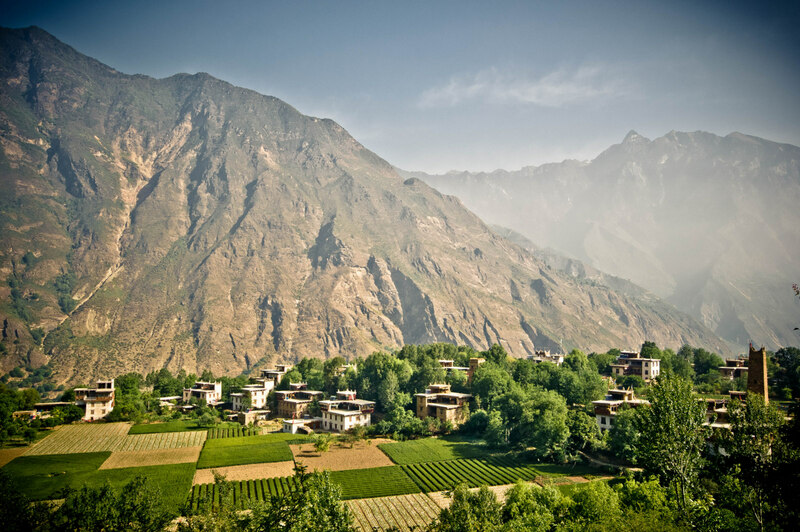 An eight hour ride west from Chengdu, the capital of Sichuan Province. 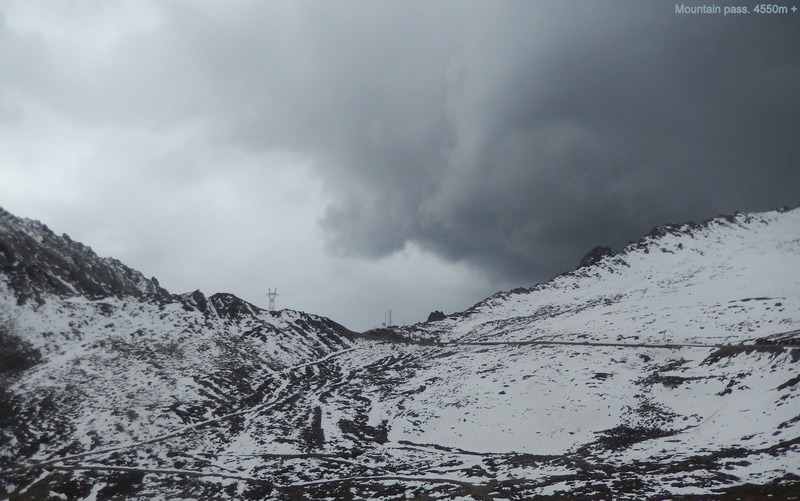 Plenty of time to see the effects of the earthquake which killed 86,000 people when the Indian Plate pushed further under the Tibetan Plateau. Visible scars: grey-brown gashes in the mountainsides which spawned the landslides which buried the communities below. Not an old house to be seen. New whitewashed dwellings looking garishly out of place in this fractured landscape. Reconstructed townships and villages. The resurfaced road snaking guiltily (survivor-guilt?) through an eight year old geological armageddon. Arriving in Danba, a small ugly town in a big picture landscape of outstanding scenic beauty. Nothing to write home about other than the usual collection of rip-off merchants who prey on the rare waiguoren (foreigner) backpacker who is prepared to suffer the discomforts of the journey from Chengdu. A little Chinese language helping to keep them honest: ‘Pianzi!’ (cheat!). 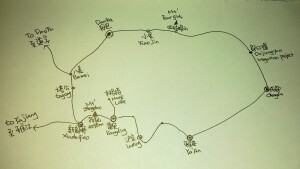 ‘Wo jia zai Zhongguo.’ (I live in China). Don’t get me wrong. The journey is worth it. Many times over. 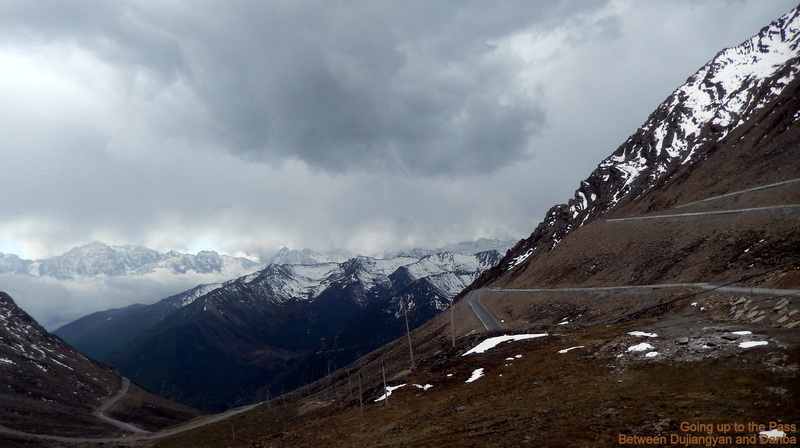 The petty avarice of the van drivers more than compensated for by the pleasant, honest, genuine friendliness of the Qiang/Tibetan people who live away from the township in their cultural cacoons up there on the slopes of the ranges. Clean, ordered villages with byways radiating out from the centre of their communal life – a Buddhist temple. Village folk who give you the time of day and who aren’t interested in ripping a Chinese renminbi out of your Western pocket. Not yet, anyway. I look around, and admire the way these fascinating communities have survived earthquakes, invading armies, the Cultural Revolution, famine, and God and Buddha knows what else. Resilience. Their 800-1000 year old watchtowers used for storing food and valuables, and for signalling to neighbouring communities. And for defence also: doors high off the ground, reached by a ladder which can be withdrawn into the tower. 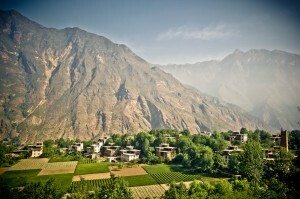 I spend a couple of days wandering around the villages of Zhonglu and Suopo. Taking it all in. Comparing my lifestyle with theirs. Zhonglu was the best, and is worth another look one day – in Autumn when the leaves are changing colour. Tomorrow I will retrace my steps. 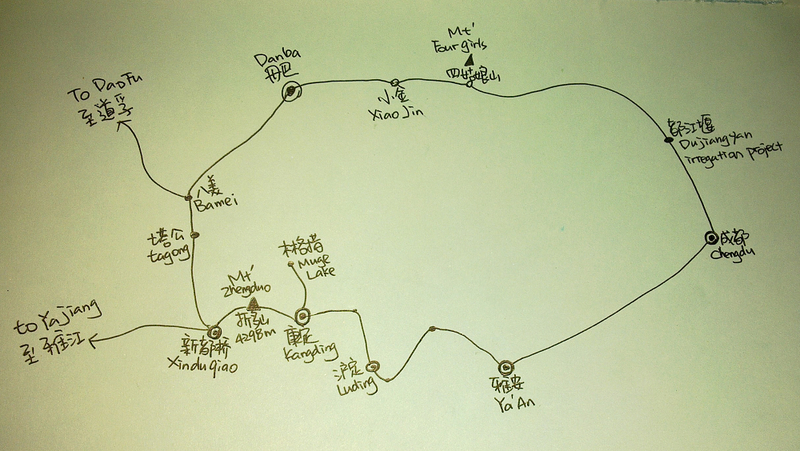 Back to Dujiangyan and Chengdu where I will catch up with middle-class Chinese friends. Then a more comfortable fast-rail commute (two hours only) back to my home in Chongqing 350 kms away. This is China. Extreme contrasts everywhere. See Photo album above for more pics.